American Crystal Sugar Company is an agricultural cooperative corporation. It specializes in the production of sugar and related agricultural products. It has around 3000 shareholders. It contributes by about 15 percent of America's highest quality sugar. It also has several joint ventures. In 1993, American Crystal Sugar Company and Minn-Dak Farmers Cooperative, Wahpeton, North Dakota formed United Sugars Corporation. Again, Midwest Agri-Commodities is an agri-product marketing cooperative owned jointly by American Crystal Sugar Company, Minn-Dak Farmers Cooperative, Southern Minnesota Beet Sugar Cooperative, and Michigan Sugar Company whereas Sidney Sugars Incorporated operates as a wholly owned subsidiary of American Crystal Sugar Company. 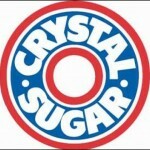 There are currently 0 consumer reviews about American Crystal Sugar Company available. Share your review. Please take a note that you are about to post a public review about American Crystal Sugar Company corporate office on CorporateOffice.com. This review will be public, so please do not post any of your personal information on this website. If you would like to contact the corporate offices of American Crystal Sugar Company, please use their contact information such as their phone number, website, and address listed above to contact them. However, sometimes staff from American Crystal Sugar Company headquarters do read the reviews on this website.